Happy to share great news! 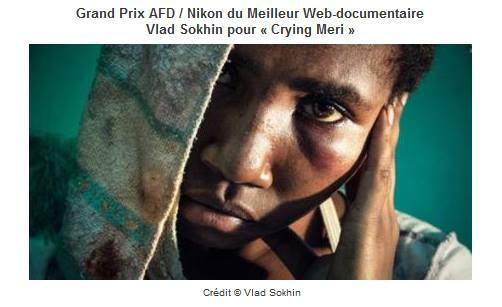 Last night web-doc Crying Meri (www.cryingmeri.com) received Prix Photo AFD Best Web Documentary 2015! Huge thanks to AFD and Nikon France for the prize, to my agencies COSMOS, PANOS and LAIF and especially to COSMOS’s director Annie Boulat for giving a speech for me the last night at the award ceremony in Paris, to Ben Chesterton and Duckrabbit, whose video is part of Crying Meri web-site, to Svetlana and David from the FotoEvidence, who published Crying Meri book (check it out on their web-site), to my assistant Harry Virtanen and all my friends who keep supporting me and my work!